A BBC fez um poster a mostrar os consumos de media existentes. Via Alfred Hermida. 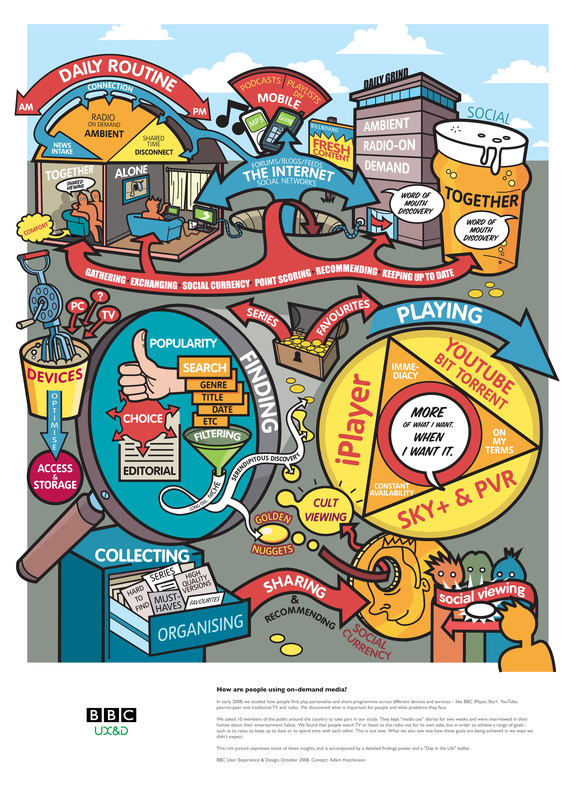 BBC created a poster representing how people are consuming media. Via Alfred Hermida. The aim of the project was to understand how people are using media. Among the things that emerged was that a lot of people feel overwhelmed at the amount of choice there is and how people mixed and matched old and new technologies to fit in with their lives.